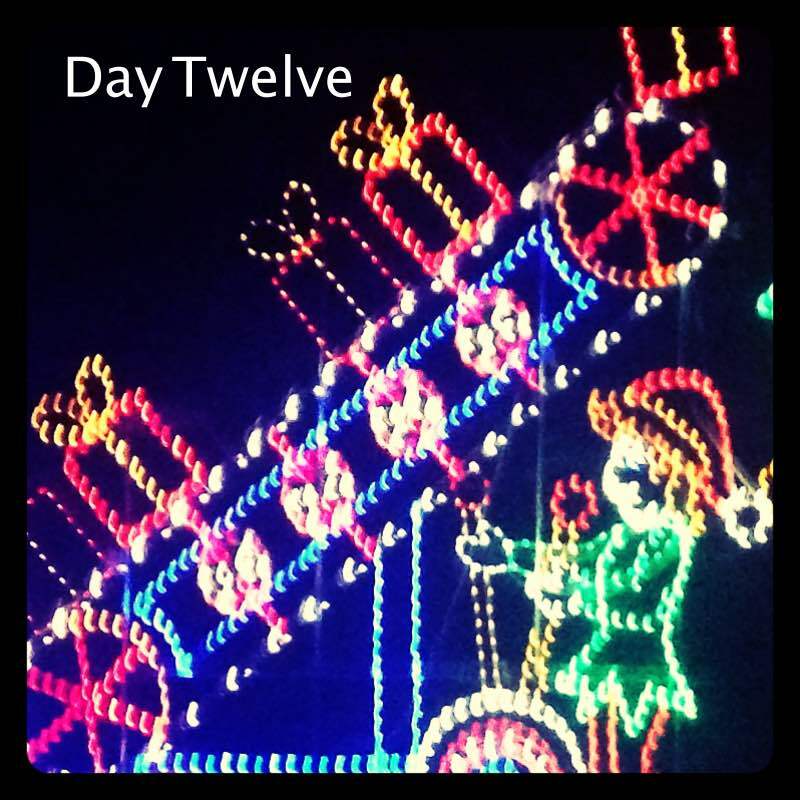 Hello my intrepid reindeer soaring through the night sky, welcome to day twelve. Wow! Look at all these community offerings happening this month! The special restaurant dinners, the live theater shows, themed gatherings, the newly released movies, the special sermons and musical concerts and solstice spirals. Not to mention the Christmas light tours and Santa parades and charitable fundraisers. And all the retail extravaganzas- all night shopping, caroling, refreshments, free parking, sales, specials, not to mention the Etsy stores of friends that you really should patronize. And oh. my. God. there is butter in the grocery store shaped like a Christmas tree, THREE DIMENSIONAL. And then there are the “in-house” options- homemade dinners, holiday baking, sing-alongs, card making, decorating, boardgame nights, family jigsaw puzzle efforts, movie night….and it begins to feel like a strain, even though you don’t want it to. You want it to feel natural, all this togetherness and singularity of purpose. But trying to do all these things, with maximum involvement, rapid-fire, within the confines of an already full schedule. Well, its almost as improbable as a three dimensional Christmas tree butter (no, seriously, this exists). Its hard not to feel like one is obligated to engage every one of these options and yet…This is only one month. You are only one person. Your resources are limited. There exist many options for a reason, because one person (or one family) is not meant to engage all these things. If we are lucky, we enjoy a few, and thats ok. I know its tempting to get paralyzed by a crushing case of FOMO (fear of missing out) or FOLH (fear of leaving house) or FONLH (fear of never leaving house) but really, trust. Whatever you end up doing is enough. You are a good parent, a good friend, and a good community member. On this twelfth day of advent I invite you to…make a date with yourself, and keep it. Take that FOMO and FOLH and FONLH and swallow it. Let it warm your belly with all that multidirectional energy and allow it to inform you, intrinsically, of how you want to spend some time with yourself.